Isn't It Time Your Business had a Simple Strategy? The 2012 Tour de Beach for MS Bike Ride on 22 September was a great experience. I was able to raise $850 (and counting…donations valid through 3 November and all donors get a copy of my new e-book, Momentum). I was only able to participate on the first day of the event, but buckled down to complete the 45 mile route in under 3.5 hours. Pretty impressive for my first event and longest ride so far. Then I recommitted. In spite of times during the ride when I thought I’d be insane to do it again, I have. On 20 October I’ll ride 30 miles for breast cancer research (the Joy Ride in Mobile, AL). 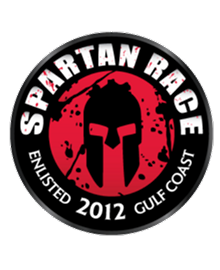 And on 10 November the most insane thing I can do…a Spartan Sprint Race. At this point the 30 mile ride in October is more for fun. After doing 45, I don’t expect any issues with 30. But the Spartan Race. What have I gotten myself into? It’s four miles with 12-15 obstacles. Things like jumping over fire, crawling under barbed wire in the mud, hauling rocks, climbing walls. I’m no athlete. I’m definitely not a runner. So why am I doing this? First, because it’s a challenge. I’ve become complacent and need to shock my system a bit to get the creative juices flowing. Second, I’m out of shape and I shouldn’t be. I have all of the head knowledge and know-how to be in good shape. This will push me beyond my limits and I’ll probably hurt a lot, but it will be worth it. Third, I’m learning to take more risks. I’m saying yes to more things. This is something that I shouldn’t do. So I’m doing it. I have 40 days to prepare. I haven’t run a mile in I don’t know how long. I can’t do 10 pushups without taking a break. I need to lose another 10-15 pounds of fat, and replace some of that with muscle. This will hurt. I will hate myself for signing up at times before and certainly during the event. But I also know that I will be glad I did it when it’s over. That medal may be a trinket to some, but to me it will be a reminder that I showed up and gave everything I had. It will symbolize perseverance and trying something new. And years later, instead of looking back wishing I had done it, I’ll be able to say that it was done. No regrets! What are you doing to push your limits and expand the boundaries of what’s possible? Click the image above to order my book via Amazon! Click the image above to listen to the podcast.